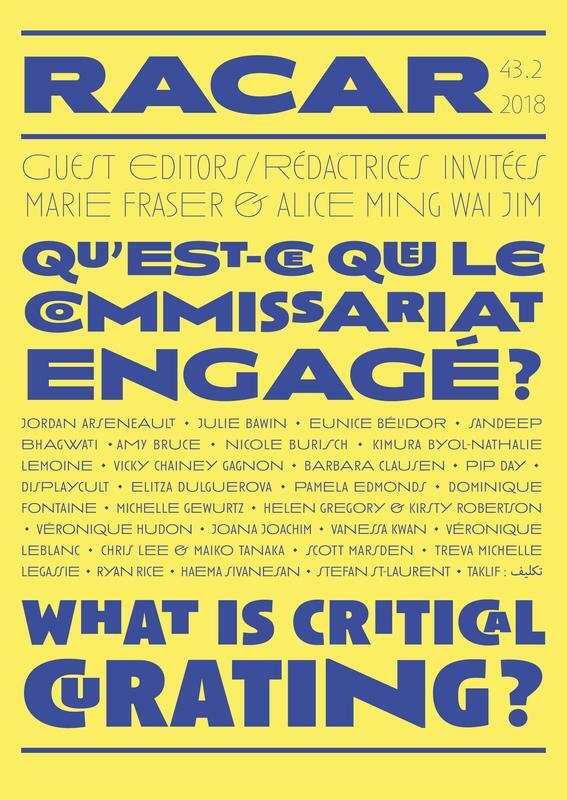 What is Critical Curating? | Qu’est-ce que le commissariat engagé? Boris Charmatz and the Musée de la danse, Flip Book, September 25-29, 2012, in performance during The Tanks : Art in Action, Londres, Tate Modern. Photo: Tate. Live in Palestine, July 11–August 11, 2018, curated by Anna Khimasia, Rehab Nazzal, and Stefan St-Laurent, organized by AXENÉO7 (Gatineau) in partnership with DAÏMÔN (Gatineau), A Space Gallery (Toronto), and Dar al-Kalima University (Bethlehem). Photo: Justin Wonnacott. Esmaa Mohamoud, Untitled (No Fields), 2018, ink-jet print. Courtesy of Georgia Scherman Projects and the artist. Here We Are Here: Black Canadian Contemporary Art, May 12 to September 16, 2018, Montreal Museum of Fine Arts.